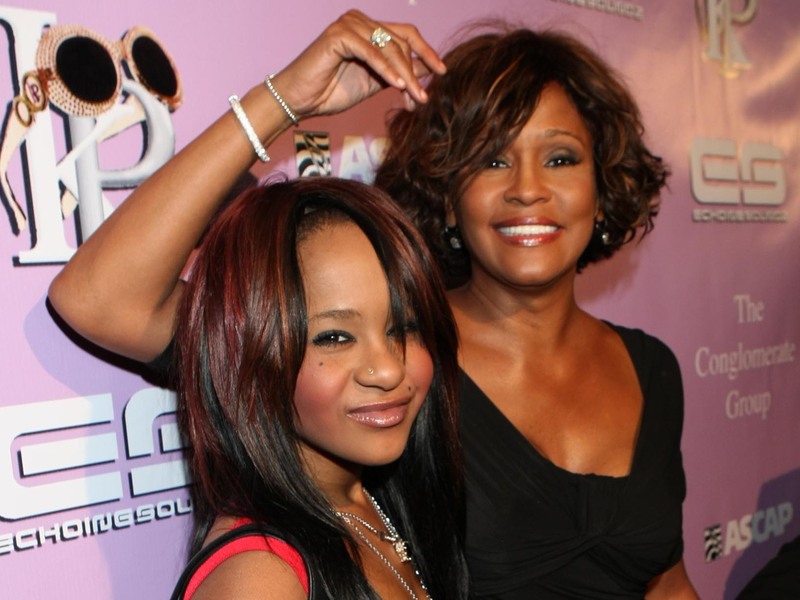 Bobbi Kristina Brown is the daughter Whitney Houston desperately prayed for and their bond ran deep. Whitney suffered miscarriages before and after Bobbi Kristina's birth, making Bobbi Kristina that much more precious to the singer and her then-husband Bobby Brown. Looking up to her famous mom, Bobbi Kristina tried to follow in her footsteps, but it was challenging growing up in the shadow of a woman, who was known as "The Voice." As she tried to capture the magic of her mother's magic in the recording studio, it became apparent that the magic wasn't there. What was the same was their fierce commitment and loyalty to family. "I'm most excited for people to see our family together as a unit just working together being an actual family," Bobbi Kristina told ET in 2012 the reality show "The Houstons: On Our Own." "It's not anything that's fake -- nothing like that. It's us being a family and us getting through it together, and that's how it is." While her singing career fell to the wayside, Bobbi Kristina still couldn't escape the critical eye of the tabloids. When she was younger, Bobbi Kristina was criticized for her weight. As she got older, she posted pictures of herself looking extremely thin - reminiscent of a time when Whitney appeared to lose a drastic amount of weight. Bobbi Kristina's relationship with rumored husband Nick Gordon has also been criticized, much like Whitney and Bobby's rocky marriage. Both Bobby and Whitney publicly struggled with addiction during their tumultuous relationship. "Bobby's the other part of me and I'm the other part of him," Whitney told ET in 1998. On Saturday morning, Bobbi Kristina was found unconscious in a bathtub at her Georgia home just outside of Atlanta. A source close to the family tells ET that her father Bobby, Nick and others have been advised to prepare for the worst and that the longer the 21-year-old remains in a coma, the more likely it will be that she will not regain consciousness. "Bobbi Kristina is fighting for her life and is surrounded by immediate family," her family said in a statement to ET. "As her father already stated, we are asking you to honor our request for privacy during this difficult time. Thank you for your prayers, well wishes, and we greatly appreciate your continued support." This comes nearly three years after Whitney was found dead of accidental drowning in a hotel bathtub in Los Angeles. The effects of heart disease and cocaine use also contributed to her death.